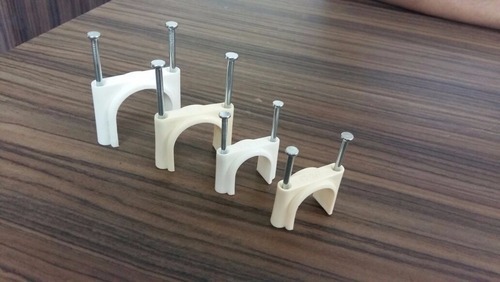 We are offering a superior quality UPVC Pipe Clamp. These UPVC Pipe Clamps are made by using the superior quality material. We use best quality raw material and sophisticated technology to manufacture the offered products in accordance with the set international standards of quality. The offered products are extremely valued for accurate dimensions, durability, easy to install, sturdiness, light weight, strong grip and rust proof. We have appointed a team of knowledgeable quality experts that empowers us to offer high-quality products. They check the offered products on several industry parameters to ensure their quality and durability. By the assistance of our wide distribution network, we are able of providing these products at our user’s end within the promised time frame.